Healthcare jobs are among the fastest-growing in Kentuckiana, with more than 50,000 new healthcare positions expected to be needed in the region by 2022(1). Is your organization prepared to match this growth? Industry top leaders lift the veil to reveal the surprising details about the future of the healthcare labor market in the region. Recent projects have focused on: Creating a long term workforce strategy and determining the human capital drivers of patient care for a series of regional health care systems. Quantifying links between employment practices and the drivers of organizational productivity for hospital system based on a statistical analysis of external influences, organizational practices, and employee attributes. Matt holds a BA in Economics from McGill University, and MA and PhD in International Relations from Arizona State University. His work has been presented at national conferences and published in professional journals. His most recent publications include Mercer’s Healthcare Workforce 2025 report, co-authored with Jason Narlock. After completing graduate studies and military service Steve joined Owens Corning, a leading manufacturer of construction and building products. He held several Human Resources positions and also acted as business leader for a manufacturing department. 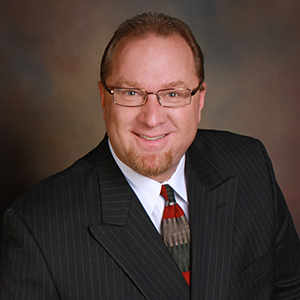 In 1998 Steve joined Johnson & Johnson, Ethicon Endo-Surgery in Cincinnati, Ohio as a HR Director. He was then promoted to Vice President, Human Resources, J&J Ortho-Clinical Diagnostics- International and was based in London, England. In this role he served as the Human Resources leader for Europe and Asia. Steve joined the J&J Consumer Companies in 2004 as Vice President, Human Resources, North America. In 2006 he was named Human Resources Integration Leader for the J&J acquisition of Pfizer Consumer Healthcare and had accountability for all acquisition-related human resource, staffing, organization design and change management processes. In 2007 Steve assumed global Human Resources responsibilities for the Johnson & Johnson Consumer Group of Companies and was a member of the Consumer Group Operating Committee. Steve was appointed Chief Human Resource Officer for Catalyst Health Solutions, a leading pharmacy benefit management organization, in 2011. 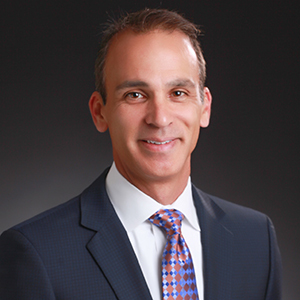 In 2013, Steve joined Kindred Healthcare as the Chief People Officer. Steve has overall responsibility for the company’s human capital initiatives. He serves as a Board member for the East Carolina University Foundation, the Kentucky Region American Red Cross, Greater Louisville, Inc, and Kentuckiana Works. 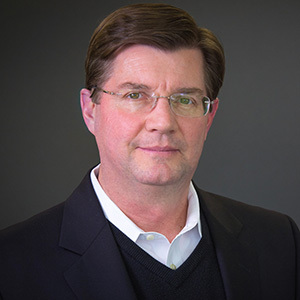 Roger joined Humana in September, 2013 to lead the talent and organization development functions. He currently has responsibility for HR Business Partners, talent management, organization development, performance management, associate engagement and talent acquisition. Roger is also a member of Humana’s Inclusion and Diversity Council. Before joining Humana, Roger served as Senior Vice President, Global Talent Management for Wal-Mart. In this role, he was responsible for executive development, Leadership University, executive succession planning, officer selection and Corporate Learning Services. Roger has also held positions as Senior Vice President, Learning and Leadership Development at Bank of America, and as Vice President, Human Resources for Williams, Inc.
Steven G. Rudolf is Vice President, Human Resources Operations, for Baptist Health, providing operational HR leadership for the system. He previously served as vice president of Human Resources for the Kentuckiana Region, which included Baptist Medical Associates, Baptist Health Louisville and Baptist Health La Grange. Prior to joining Baptist in 2010, Rudolf was executive director of human resources for Operations and Product Development for Hill-Rom Company, a subsidiary of Hillenbrand Industries, and a leading manufacturer and provider of medical technologies and related services for the healthcare industry. He also served as senior labor and employment counsel for Hillenbrand and its subsidiaries. 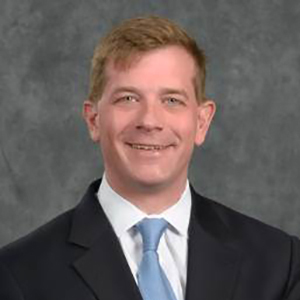 Rudolf was in private law practice for 11 years, focusing on labor and employment law, as a partner with Bose McKinney & Evans LLP in Indianapolis and an associate with Vedder Price Kaufman & Kammholz in Chicago. He earned a law degree from Boston University School of Law and a bachelor’s degree from Indiana University. Rudolf has served as a previous board member for various organizations, including Kentuckiana Works and the KHA Consortium for Healthcare Professionals. He has completed the Advance Human Resources Executive Program at the University of Michigan’s Ross School of Business; Strategic HR Decision-making at the Wharton School of Business; and the Foundations of Leadership program from the Center for Creative Leadership. He is currently participating in Leadership Louisville, Class of 2017. He is certified as a senior professional in human resources by the Human Resources Certification Institute and as a senior certified professional by the Society for Human Resource Management. 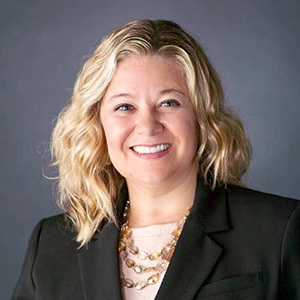 Beth Davisson is the executive director of the Kentucky Chamber’s Workforce Center, and serves as the Workforce Co-Chair for the Kentucky Society for Human Resource Management (KYSHRM.) Beth has spent the last 10+ years aligning talent to the strategic plans of business and is a proven workforce strategist and consensus builder, with 5+ years advocating for workforce needs in the KY and US Capitals. She earned her bachelorette in Integrated Strategic Communications from the University of Kentucky, and Master of Business Administration from Sullivan University. Beth was honored as a “Top 40 under 40”, and named a “Top 20 People to Know in Human Resources”, by Business First Louisville. Ms. Davisson is also a graduate of the 2017 Leadership Louisville Bingham Fellowship program, focused on “Winning the Talent of the Future” as well as the Talent Pipeline Management Institute with the United States Chamber of Commerce. Beth also assists with the Kentucky Workforce Innovation Board’s Steering Committee and is one of three private citizens appointed to Governor’s Work Matter’s Task Force. Previous employers include Sullivan University, Greater Louisville Inc. and The Oliver Group. HEN Members: In the Weblink portal, register for a NON-MEMBER ticket. When you reach the payment screen, you will be prompted for a promo code to receive member pricing. Your promotional code is your company’s name with no spaces. Promo codes can also be found here.